James Henry Trotter lives with two ghastly hags. Aunt Sponge is enormously fat with a face that looks boiled and Aunt Spiker is bony and screeching. He's very lonely until one day something peculiar happens. At the end of the garden a peach starts to grow and Grow and Grow. 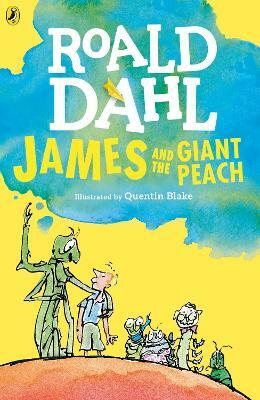 Inside that peach are seven very unusual insects - all waiting to take James on a magical adventure. But where will they go in their Giant Peach and what will happen to the horrible aunts if they stand in their way? There's only one way to find out.